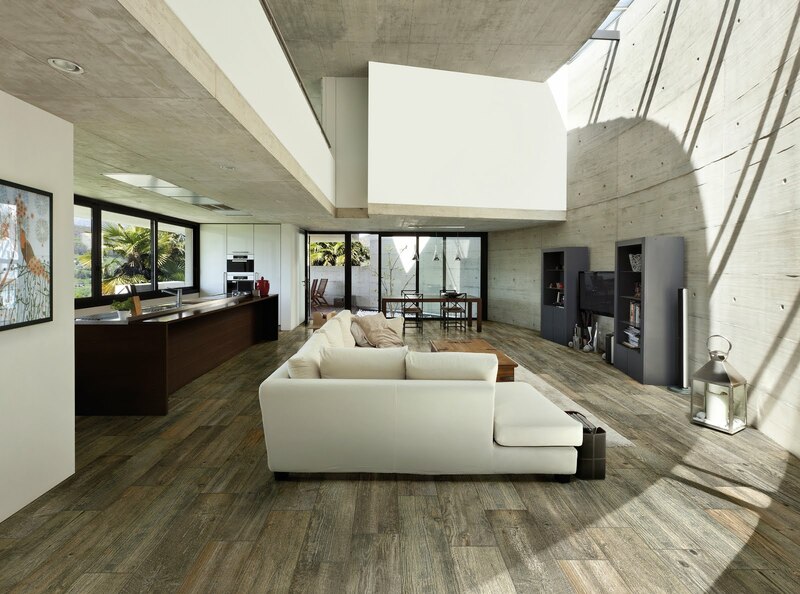 Alava combines a stone look and a wood look in a single product line, with the same colors. This concept is perfect for breaking up a space with different but complementing textures while keeping a cohesive color scheme. The 12x12 and 12x24 tiles have a roughly hewn stone graphic with high shade variation and a slightly distressed surface texture. The 6x24 and 8x36 sizes carry the same color tones as the stone, but are presented in a rustic reclaimed wood that is complete with nail holes, worn in stains, and a soft wood grain texture. To view additional Florida Tile collections, please visit their website by clicking here.